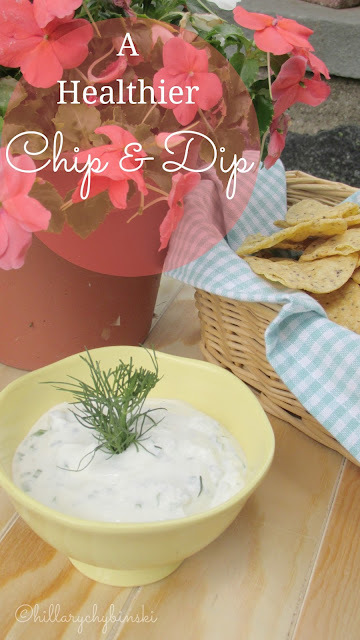 I have a rule . . .I cannot sit next to the onion dip and potato chips at any picnic, party or BBQ. They are a real weakness of mine. Anyone else? 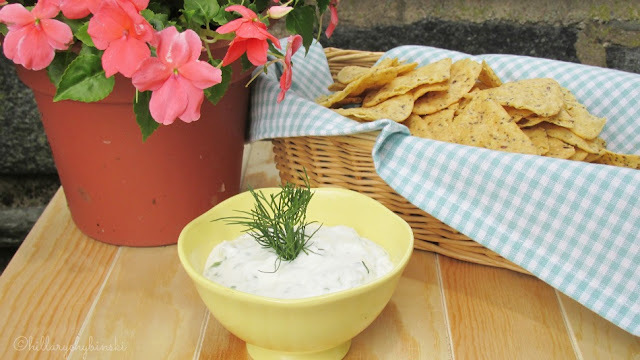 But there is something so summery about enjoying a bowl or basket of yummy chips and a creamy cool dip along side your favorite summer sipper. Thanks to my partnership with Stonyfield, I received a bag of Late July chips and a coupon for my favorite Stonyfield yogurt to help me create a summer snacking idea to share with my blog readers. I am not a fancy cook, like with my fashion choices, I tend to stick to classics. So I immediately decided that a chip and dip dish would be perfect. 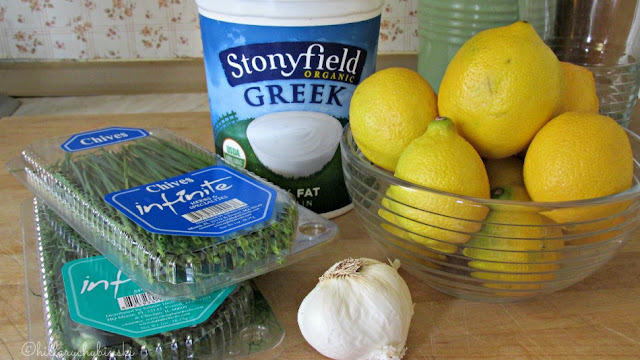 Stonyfield Greek Yogurt is a great choice for a tangy, creamy dip. You can add just about anything to it, and dip away with your favorite chips and/or vegetables. 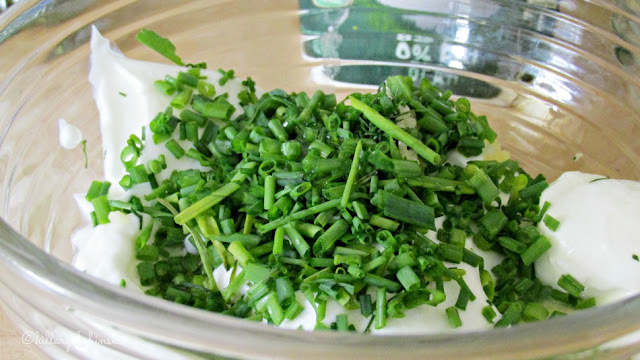 I added some classic herbs like dill and chives, along with a little lemon juice and garlic, for a simple dip. Mix everything together in a bowl and serve with your favorite chips. 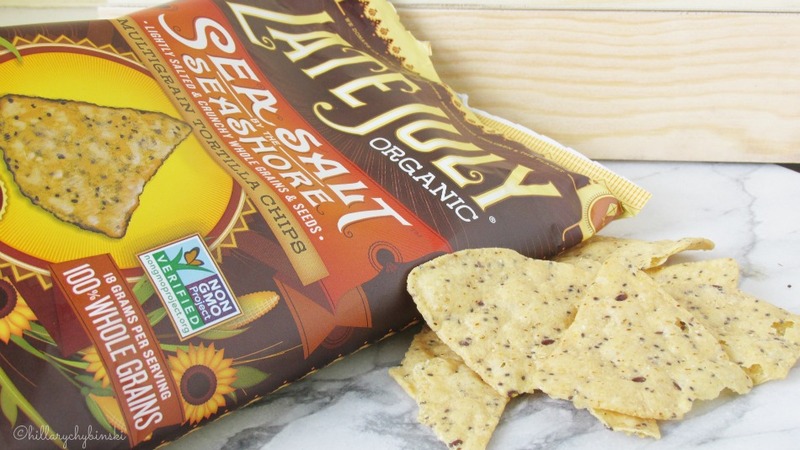 These Sea Salt Tortilla Chips from Late July are terrific! They have a great crunch with just the right amount of salt. They are made with organic and non-GMO ingredients and are a great choice for snacking with family and friends. 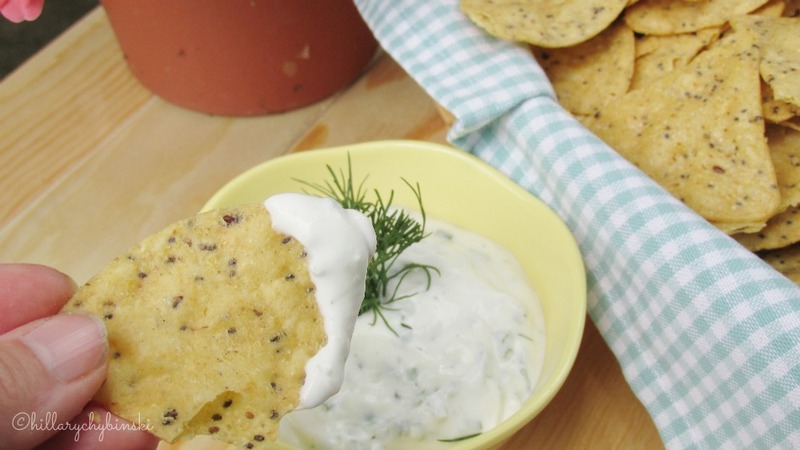 What's your favorite healthy summer snack? Disclosure - As part of the Stonyfield Yo-Getter program, I am compensated for quarterly posts and I also received coupons and free product to facilitate this post. As always, all opinions are my own. OMG I have to try!!! I am such a sucker for the french onion dip and chips!! !